I belong to the MeetUp Group, SF Tarot Cafe and have enjoyed it greatly. I decided to see if there was another group closer to where I lived, so I joined the “Fremont Tarot Meet N’ Greet” MeetUp Group. When I joined the Fremont group it was just beginning and it was more of a group to share tarot decks rather than talk about specific things in Tarot. I found I needed more structure and offered to help in providing a clearer focus to that end. The founder of the group seemed happy to let me take on that task. I looked at different things we as a group could do and asked questions of the core members. Then I did some pondering. This month I decided to step up and offer to work with the members to teach and share my experiences about Tarot by working through the book Tarot for Yourself by Mary K Greer and then expanding it to the Voyager Tarot method which I am exploring as a teacher. The group seemed open to it and we had our first group meeting last Friday, June 3. We started by doing a quick writing exercise of free form writing about the word Rose from the introduction of Tarot for Yourself. I found that this is always a good way to see what a word can mean to different people and it makes people see depth in a card they didn’t see before. This exercise is one I like because roses are through out the Rider-Waite- Smith deck and people who use other decks see them in theirs as well as and find that the rose can provide an association they didn’t think of originally when they looked at their decks.It also gave them words they might not have thought to use to describe a rose such as death, decay, spoil and betray. The next thing we did was figure out our Personality Cards. It is a simple way to see what cards you might be associated with based on your birth year, month and date. We spent time figuring these out and trying to get everyone on the same page. We briefly touched on the Soul Cards as well as the Hidden Lesson Cards and will work on these more during June and come back together to share what we have found and discuss these as well. I am looking forward to how this group will grow and what new things I will learn as well as the things I hope to share. I am still riding the excitement from Reader’s Studio 2011. I was nervous about going with all the things going on in life right now but it was exactly what I needed to reenergize my Tarot love and meeting some many of my online people in person was just awe inspiring. We arrived on Thursday morning in New York and headed to our room to crash and get ready to set up for the evening selling opportunity and networking. After I got up and ate (great Lobster Bisque!) I headed to the main hall to set up the Tarot Media Company table with Anastasia and Andrew. We had some amazing items to share with everyone and I was excited to see who would be there Thursday evening. We sold a few things and Corrine Kenner came by and said hello. I was happy to also see that James Wells was in attendance as well as Dan Peliter with the Tarot Garden goodies whose table was just down the way from Tarot Media Company’s table. They have decks you just can’t find as well as other Tarot treasures. The Amberstones had an opening greeting for their Thursday evening class and I left to go do a quick email check in on my computer. I met up with Debbie Lake who is a hoot! We chatted about many different topics such as our families and sharing thoughts on how we each read Tarot. As we sat and chatted the BatQueen, Thalassa, came by in her black elegance and pearls. She was on her way to meet up with others but as always dropped a bit of humor on us. Soon Debbie left to meet with her local Tarot people and Johanna Gargiulo-Sherman sat down on the couch next to me as well as Paul Nagy. We chatted for a bit about the way Tarot had changed in the years since Johanna had put out the Sacred Rose Tarot and the different people she had read for over the years. I was just happy to listen to such an experienced reader sharing her insight. I of course had a FAN GIRL moment as her deck was the one I used most for many years. I had at a past Reader’s Studio let her know it. This time I was calm and collected and just happy to chat with her about real life. She is just a lovely person. If you get a change to chat with her you should. She is amazing. Later it was off to the room for sleep and chatting with the roommate Susa Black. But I needed to get ready for Friday so it was off to dreamland for me. Friday I was downstairs having breakfast when Artemis J joined Andrew and I. He had gotten in late on Thursday and it was great to see he had made it! After breakfast and checking in with Tarot Media Company, it was back to the main hall to get ready for the opening ceremonies of Reader’s Studio 2011. There were so many people there who I have connected with online and through Twitter, it was amazing. Wald and RuthAnn welcomed us and then began the opening ritual. After it, we got to meet our presenters for this year’s event. First was Corrine Kenner who was going to share with us how to incorporate Tarot and Astrology. I had not really looked at how these two could be incorporated so I was looking forward to this presentation. I had been enjoying the Wizards Tarot that Corrine had put out this year and was hoping to get to chat with her more over the weekend. Next Thalassa was the guest interviewer of Barbara Moore who was going to talk about Tarot Spreads and all the fun things we could do with them. After Wald introduced us to Caitlin Matthews. Her voice was mesmerizing. And she let us know we as readers are amazing for the work we have chosen to do. We are the modern day Oracles and we should all be honored to do this work. These were our presenters and we were in for an amazing weekend. Next we did our foundation reading that we would revisit at the end of the weekend. I worked with Artemis J and we did a basic 5 card reading. My question was how can I move forward with my Tarot work. It was very informative and suggested I start taking myself more seriously if I want others too do so as well. It is one of my biggest problems and the reading made some good suggestions for me to work on this issue. After lunch we were introduced to Corrine Kenner and her way of looking at Tarot and Astrology. We each had our astrological charts. We then used the hand outs to see where things are at in an astrological chart so we understood the symbols that were common in a chart. We learned the symbol meanings as well as how to understand how they work with the Tarot. We got to figure out how our own charts could also be translated into Tarot cards and how to use them when we see them in readings for others. After the class I went to dinner with Andrew and Artemis J and socialized with so many amazing people it is all still a bit of a blur. Then it was off to bed for the next day was Barbara Moore, Caitlin Matthews and breakfast with Mary K Greer. Saturday morning began with me getting down to Mary K Greer’s morning breakfast talk. She discussed how we as Tarot people say we are open but we can be closed minded in our own ways. We all have flaws, but we can all make efforts to work on our pet peeves. She asked around the room what are some of our personal pet peeves and how can we each work on turning them into positive solutions. It was interesting to hear everyone’s issues and I of course stated my “love” of working with the 10 of Cups card. Artemis J who was also in the breakfast meeting across the room held up a 10 of Cups card as I spoke. It turned out he had just drawn this in relation to a question he had and was laughing as it was at the same time as I had said my pet peeve statement. Love the Synchronicity in action. After he asked me what I thought of in relation to his pulling of the card and we chatted about it in context of his question. It made me smile to know that the Tarot has a sense of humor to it. Back in the main hall we all gathered to hear out Saturday speakers. Barbara Moore was introduced and began her talk about Spreads. I love creating spreads and looked forward to the information she was going to share with us. She began by having us choose how we would create our spread, using a random card or planning it based on a crd we liked. I worked with Andrew and we decided to choose a card at random and he pulled the Lovers. I had to laugh as that is my numerical birth card and his sun sign birth card. We chose to do a 6 card spread based on the elements in the card. We then listened to Barbara as she made suggestions of way to set up a spread and different elements one can use and ways one can lay out the cards to make a spread work for every reading one could do. She suggested that cards can move through a spread instead of remaining stagnate if the reader wants to have that happen. She shared other ways to lay out the cards for more complex readings as well as simple lay outs to do direct and quick readings. We had fun and that I think that was the big message from Barbara’s class. Have fun with creating spreads that work for you as a reader. We had our lunch break and then it was back in for Caitlin Matthews talk. She opened by singing to us. She just started singing to get the hall to know she was ready to begin. It was a wonderful way to begin the talk. She shared with us her thoughts on significators. She asked how many of us use these cards in our readings. Most people in the room didn’t use them. She acknowledged that she also used to not use them. However she had found that they were more helpful than she thought. She showed us how she worked with clients to find and use their significator cards and we did a few drawing of significators at our group tables. After she asked the room to shuffle their cards pick 1 card but not to look at it. Next she requested a volunteer to share an issue they were having and were willing to let the larger group help them with. Patty Shaw volunteered. She was having a hard time with public speaking and would be doing a presentation in the coming weeks. She came up and Caitlin had her pick a person from the room to represent her significator. She choose Elinor Greenburg who had the Death Card. Next she choose 4 people out of the room be represent 4 different elements in the Wheel of Souls reading Caitlin had shared with the group in our hand outs. Each person had a message to share with her in their places as the Family Soul, the Tribal Soul and Individual Soul as well as the Universal Soul. Patty choose me to be the last place, the Universal Soul, and I had the Hierophant to share with her. It was a very moving reading for the room and we helped her to face the issues she was dealing with about public speaking. After the reading she made the announcement to the group about the evening classes and the dinner that we were attending on Saturday evening. The dinner was started with people parading for the group at large as a favorite card. I wore a gothic style dress to compliment Andrew’s Captain’s coat and steampunk style. We were encouraged to join the parade and realized we must be the SteamPunk Tarot Lovers. It was fun to honor Barbara Moore’s work as she is creating the SteamPunk Tarot deck in the next year. Also Ciro Marchetti came up to Andrew with a card from his new deck, Oracle of Vision, that looked like Andrew. After we went to spend time with Jaymi Elford as well as Susa Black and Artemis J. We chatted about new decks and all the fun we were having. We compared notes and expressed our fascination with all that we were learning as well. It was a late night of joy and fun. Sunday was the closing of this amazing event. We revisited our foundation reading from Friday and applied things we learned more about during the weekend. It was fun to see how astrology influenced how Artemis J read the same cards this time verses on Friday. I used the Wheel of Souls reading as well as moving the cards around in the reading for Artemis J. We then received our certificates and participated in the closing ritual. And what did I take away from this amazing weekend? New friends, connections in real life with people I had started to connect with on Twitter as well as Facebook as well as terrific new ways to look at my Tarot deck. This year SF BATS was held August 28 & 29. It was at the Universal Unitarian Center of San Francisco which always feels like a home away from home in my mind. I have been attending this event for the last 4 years or so and every year I get to meet some amazing people and see some old friends. This year was no different in that respect. James Wanless, Mary Greer , and Rachel Pollack were there as well as Marcus Katxz, Tali Goodwin, and Emily Carding. It was like the Americans verses the British. Everyone was excited to have Marcus and Tali from Tarot Professionals as well as Emily with her recent Transparent Oracle out from the UK to share their vision of tarot. I was there bright and early to help set up with the other Daughters of Divination(DOD) Anastasia, Patricia, Ester, Sparrow, Ember, Andrew and Rydell as well as all the vendors who were setting up their tables for all the participants to see what amazing items they had for them to look at and purchase. Tarot Garden and Tarot Connections where there with amazing decks as well as Ari Stone and her fantastic Tarot journals, just to name a few. Once everything was set into place and the will call table was set, we had people lined up all the way out the front doors of the UU Center. It was amazing to see all these Tarot People in one place to soak in the new knowledge for the amazing panel of guests. I was excited to see so many new people as well as some old friends. The first class session for me was Joseph E Martin of the Quest Tarot which is a very layered deck. He shared his views about how to deal with keeping your personal power as well as dealing with skeptics and keep doing your best. Next I saw Diana Wilkes of Tarot Passages talk about finding the right deck for yourself and how to be a reviewer if that is what you wanted to do. I found her talk to be of interest to me as I would like to explore doing reviews of decks and such here. Of course we all have to know our preferences and understand them as we produce reviews of decks. We are in service to others in that process and it is a about Tarot after all. Next came lunch and chatting with friends and making purchases from the vendors. So many terrific things to take home and so little time to really deicide. My next session was with Marcus Katz and Tali Goodwin from Tarot Professionals. It was interesting to learn new ways to read cards as well as challenge one self with just using one word to describe 3 cards in a reading. In fact Marcus shared a 19 word reading using all 78 cards in a standard Tarot Deck. It challenges your brain to par down and really focus on what is in front of you . His website is www.tarotprofessionals.com. I have taken several classes with James Wanless and every time I see something new in his cards as well as learn new skills I can apply to using with my other decks. It is fascinating all the things one can see in the Voyager Tarot. 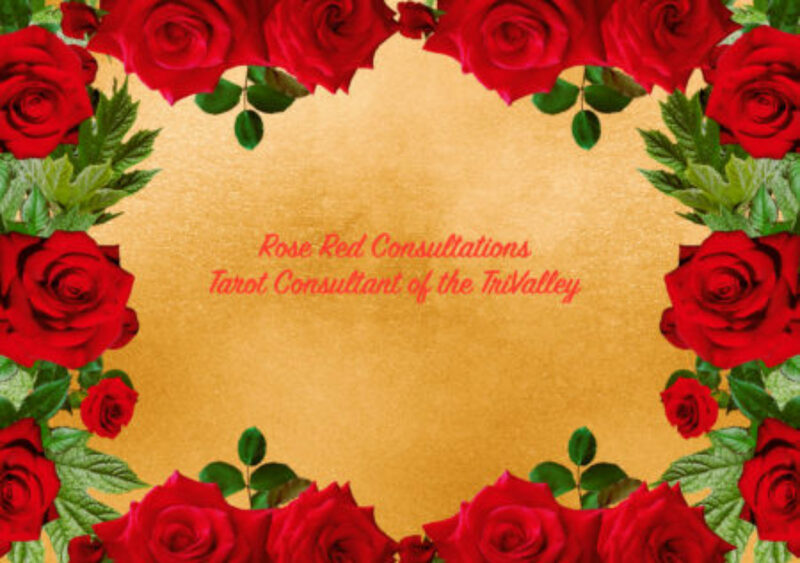 Coaching with Voyager Tarot is an empowering action process for creating the future. Voyager Coaching is “fortune creation” – a proactive tool for realizing your visions and dreams. This results-oriented process is based upon the universal Tarot “Map of Life”, which enables you to manifest intentions in a holistic way. By consulting the Cards, you, as a trained coach, help your client create an insightful and inspiring action plan for any kind of life issue and opportunity. Voyager Coaching shows you how to realize a big vision, achieve a specific, tangible goal, or address a difficult challenge. Seeker and Seer Certification is highly recommended to make the most of this course. So that the session can be hands-on and focused, class size is strictly limited, and advance registration is required. Register online at www.TarotMediaCompany.com or by phone at 1.415.508.7343. The classes will be held from 10:00am to 5:30pm in San Francisco, California. Directions and details will be included in your registration confirmation. The registration fee for the workshop is $290, which includes the workbook, lunch, and refreshments for both days. Class Special: Register for this course on or before September 7, 2010 and receive the discounted rate of $245! Use the coupon code “web1” at checkout for this great discount. They even gave me a special to share with all of you! I would love to see you there! Come be a Voyager with me. I went to Valhalla Renaissance for it’s second weekend to work the Tarot-To-Go booth. I headed up Friday evening and checked in and looked over the booth. It was in a decent spot but it was dark so it was hard to say how it would go in the morning. The next day Drew, Artemis and I organized the booth and it was a nice long booth with enough space to give each reader some privacy as we read for our clients. We were joined in the day by a new front desk person, Michele, who really encouraged couples to get readings together. i think we did more couples readings than we have ever done. They can be quite fun to see how each member of the couple sees the relationship and their parts in it. My favorite reading of the weekend was the mother who had her 2 year old daughter “helping” her. The mother sat down with her daughter in her lap. As soon as the daughter saw the cards, her eyes focused on the deck and she just started drawing cards very gently. She touched the deck and slid the cards off the top and handed then to her mother. She was very calm and very quite as well as very focused. The mother looked at me as if she was concerned but I was enjoying the experience as the daughter seemed very comfortable pulling cards for her mom. After about 10 cards, which I read to the mom, we had the mom shuffle all the cards back together and had her draw the cards herself. She got about 6 of the same cards her daughter had chosen for her. Those were the ones we really focused on as they had come up again which to me suggested she really needed to look at those issues. It was kind of amazing how open the mom was to hearing the messages especially after her daughter had already picked those cards for her. Sunday we closed up the booth and then gathered together to share our gratitude to our booth owner, Anastasia, for offering us the space to do readings for the faire goers. It so happened we stood at the four corners and put her in the middle and hugged her. It was like we each were a point on the pentacle and she was the heart of our band. It was a great weekend and I look forward to the next time I get to read at a Renaissance Faire. I hope it is as enlighten as this weekend had been.